Background: How does Continuous Integration work? The application is tested on the level of component and integration first. If no errors occur, the system is deployed on staging. Afterwards, the automated End-to-End-Tests are executed. The Testbirds Device Cloud supports by providing different virtual and real devices. The deployment of your application can directly be executed on virtual and real devices in the Testbirds Device Cloud. Therefore, we provide numerous device and platform combinations. 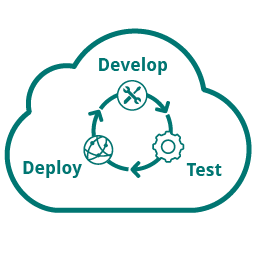 Your automated tests can be executed directly in the Testbirds Device Cloud – you don’t need your own devices. 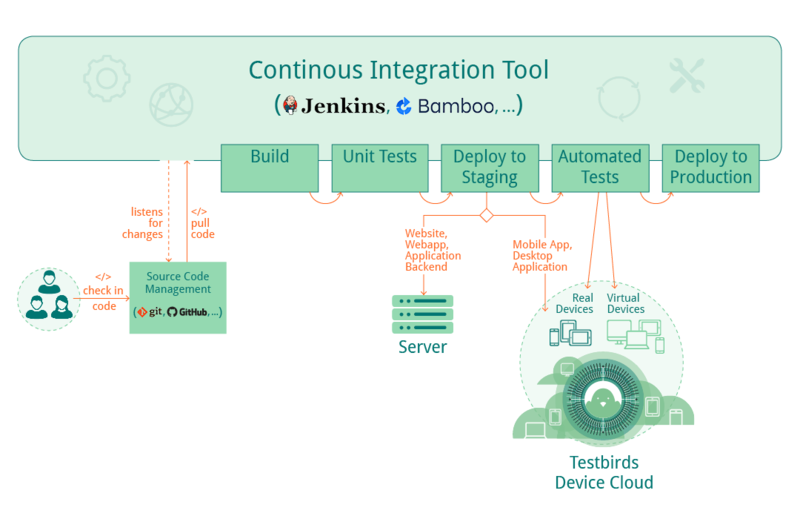 Using our platform you can develop new integration tests without problems since they can easily be connected and provide many interfaces. In this way, we are able to provide a large variety of testing opportunities.